A witch is a person who practices witchcraft. A Warlock is not a male witch, Warlock means traitor or devil. The stereotypical witches are commonly portrayed as wicked old women who have wrinkled skin, pimples, and pointy hats. They wear clothes that are black or purple. They also have warts on their noses and sometimes long claw-like fingernails.The belief in witchcraft is in many cultures worldwide. 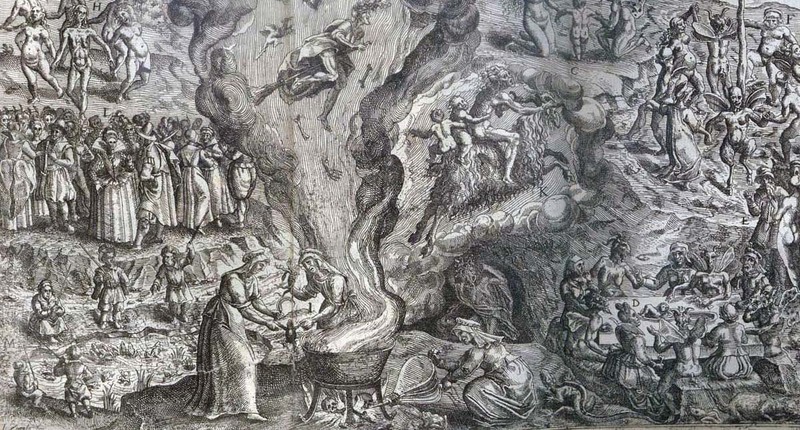 Witches have often been seen outside accepted cultures and faith. 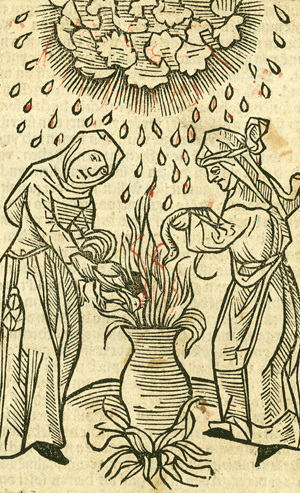 As a consequences, people often made witches feel unwanted in their societies. 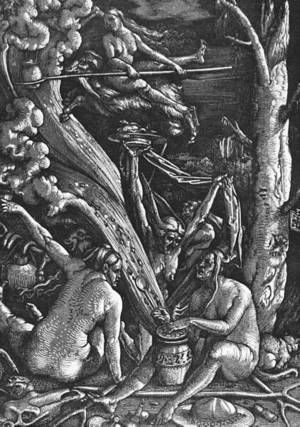 In the Bible, the punishment for witchcraft is death (Exodus 22:18, "Thou shalt not suffer a witch to live," meaning "you should not let a witch live"). "Witch" in the Bible means summoner of spirits, so it might really mean warlock. In Europe in the early modern period, persecution of witches (witch hunts and witchcraft trials) took place. 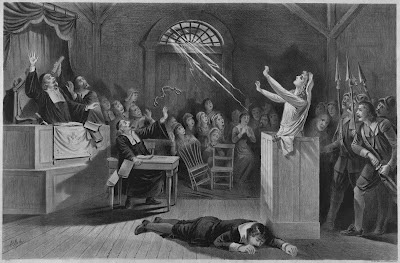 Many Christians were scared of witches and witchcraft at that time. As a result, about sixty thousand people[source?] were tried for witchcraft, and executed. Most were hanged. Some were burned at the stake (tied to a long pole and burned alive). 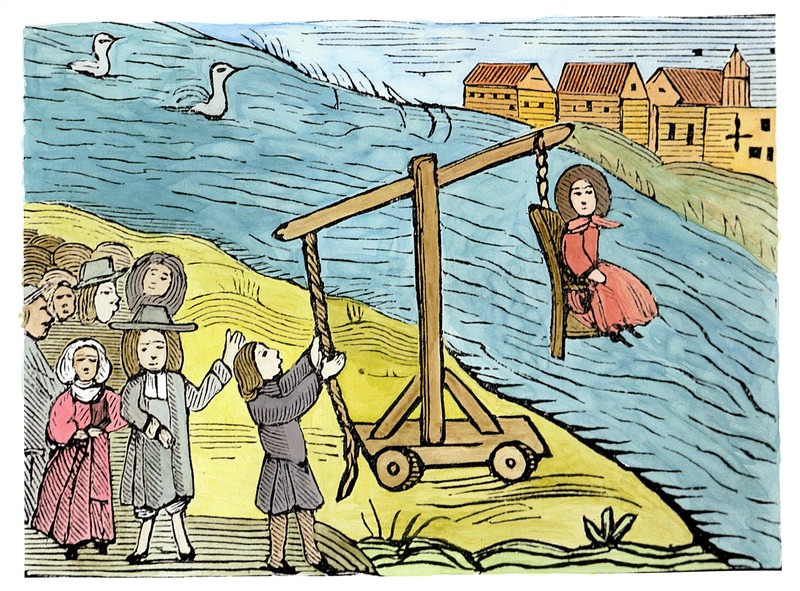 Especially in the early modern period, this punishment was often applied.The Salem trials were among these trials. 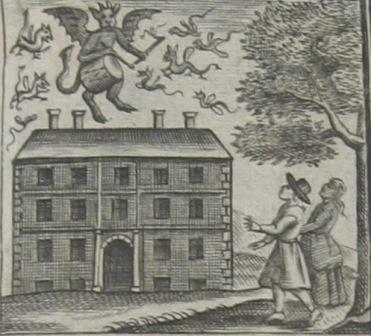 Gilles Corey was one of the people accused of witchcraft. Because he knew that he had done no wrong, Corey simply refused to speak. He was pressed to death.Women were burned at the stake for simply sweeping their porches on Sundays[source?] or putting herbs in a soup.Among those punished were people who did not live peacefully with their rulers, like Joan of Arc. 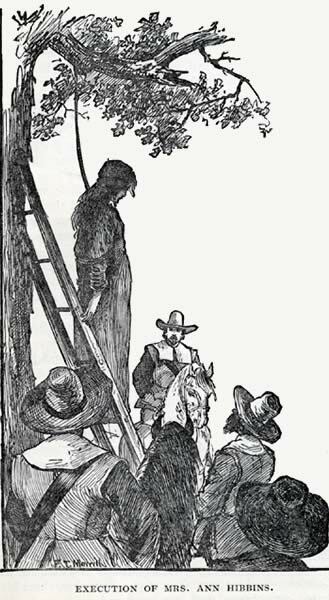 Queen Anne Boleyn was accused of being a witch and was said to have had a large mole on her neck and a sixth finger, though this was likely invented by her enemies.There were some men (for example, Johann Weyer, Friedrich Spee and Anton Praetorius) who protested against torture and against the chase of witches.